Boil the corn for 6-7 minutes, remove from heat and place in an ice bath until cold. Cut the kernels from the cob. 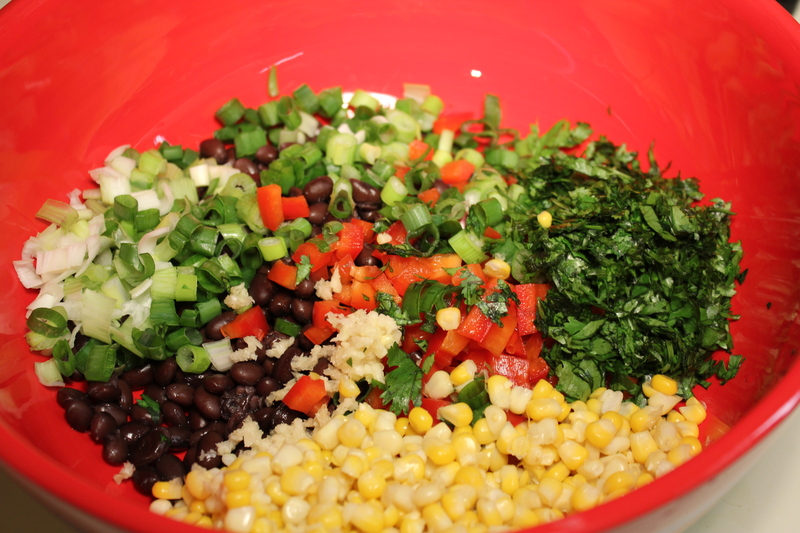 Place the black beans, corn, red pepper, onions, cilantro, garlic and jalapeño in a large bowl. Add the olive oil, lime juice, hot sauce, salt and pepper and mix together well. 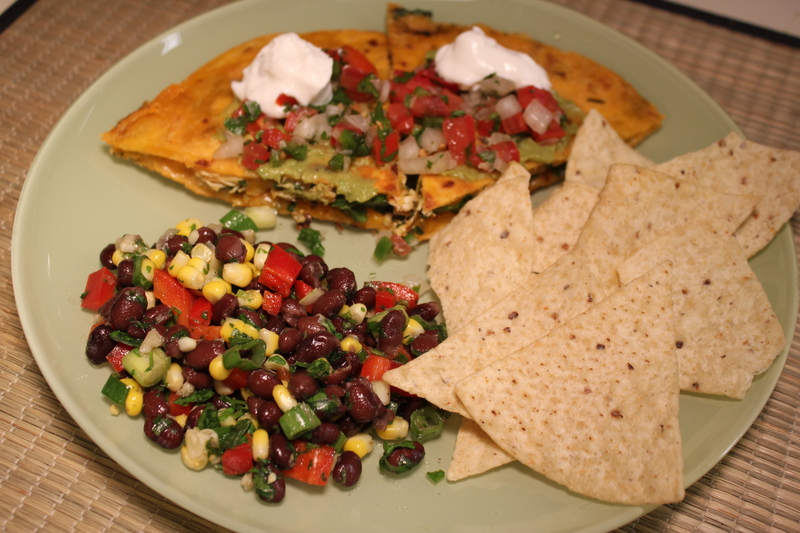 Refrigerate for at least an hour so the flavors can intensify. 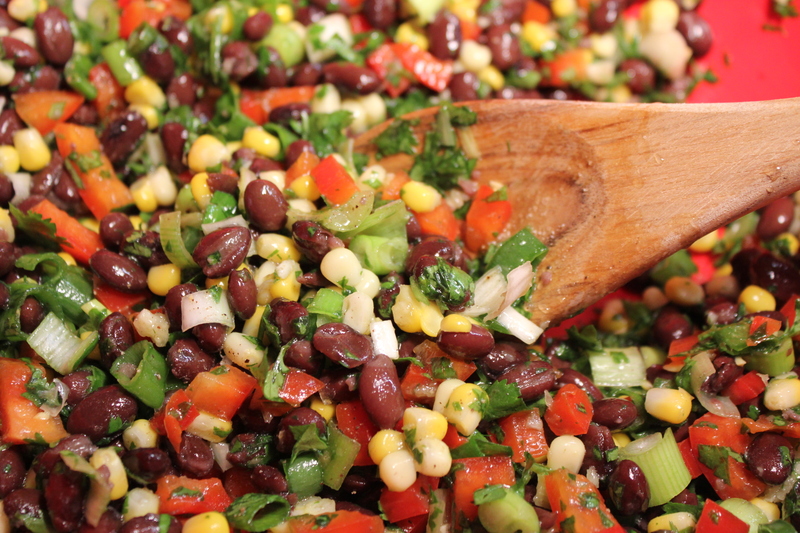 Sometimes I make variations of this salad, like my Easy Black Bean and Garbanzo Salad, which is also vegan and goes great with Mediterranean and Lebanese dishes. Both salads keep well in the fridge for several days. 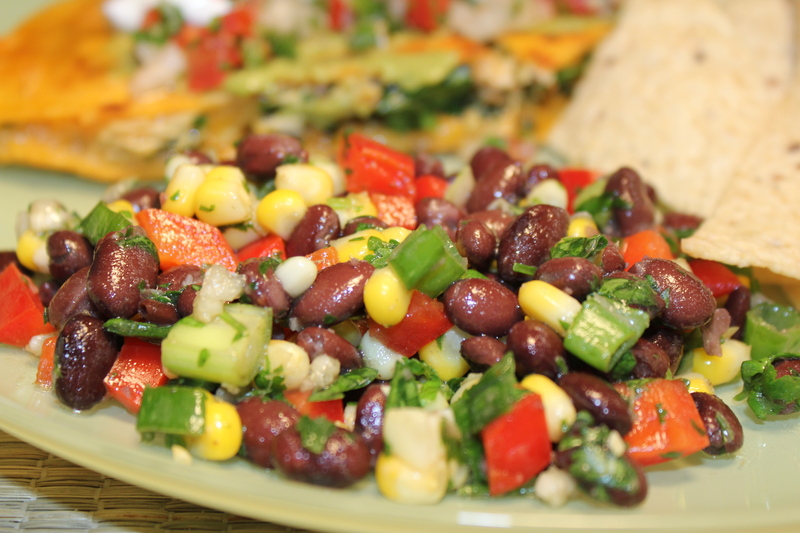 This entry was posted in Recipes, Vegetables/Vegetarian/Vegan and tagged black bean corn red pepper salad, eat drink and be merry, Kel's Cafe basic black bean salad recipe, kel's cafe of all things food, Kelley Chisholm recipes, Vegan black bean salad recipe. Bookmark the permalink. 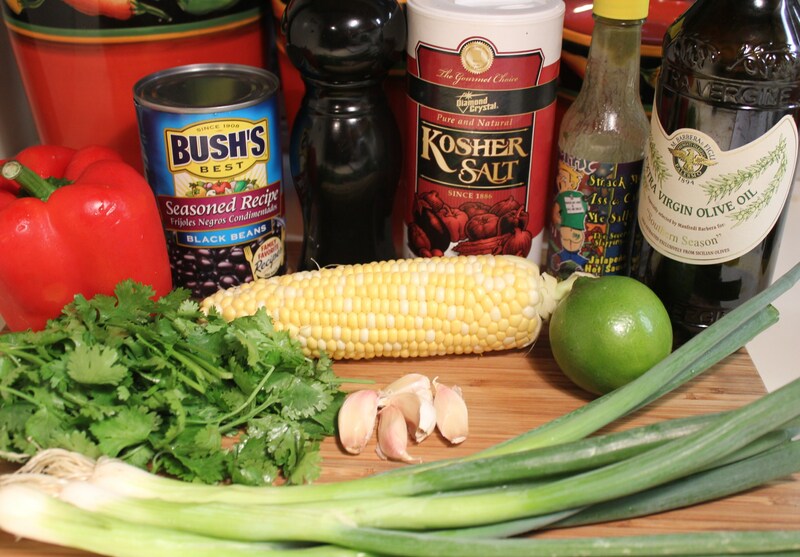 I found some Drew’s Thai Sesame Lime marinade and used that to make your black bean and corn salad. I’ve made it twice already this year, I found some sweet corn that was mighty tasty. I hadn’t been able to find the marinade for awhile, so it’s nice to have this recipe in case I run into a drought. I love the Drew’s Thai Sesame, and when I use it I cut the fresh lime juice in half and eliminate the evoo. I can usually find it at Fresh Market or Whole Foods. Great stuff!